Find this underwater diorama on Hopoe Place, just around the corner from Anapau Street in Waikele. 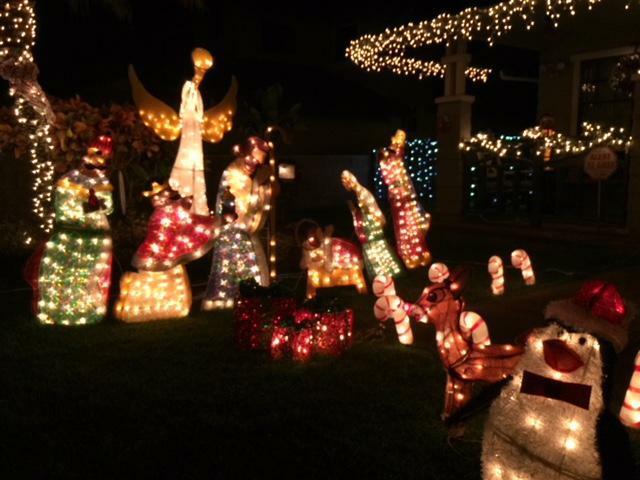 Anapau Street is known for its star turn on ABC's Great Christmas Light Fights in 2015. individual lawn installation are linked and synchronized electronically by Keith and Nalani Yoshida and family. Hours for the Waikele Lights display are 7-9:30pm nightly. 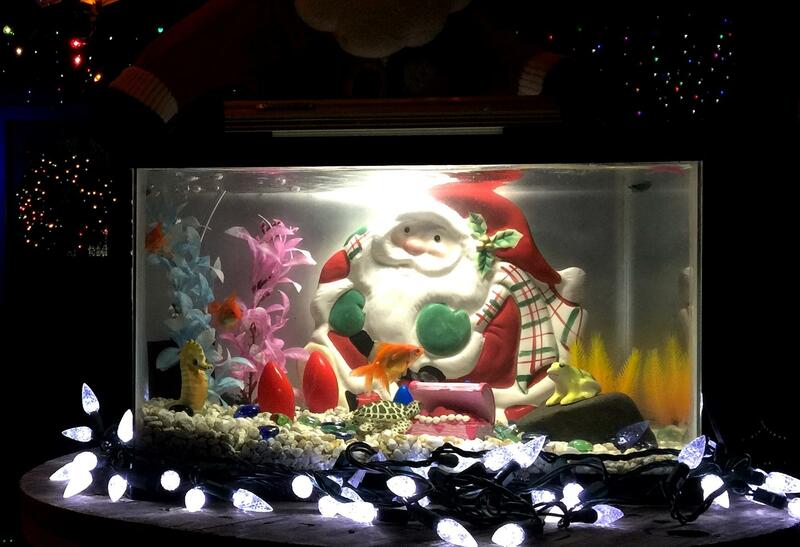 Some people are noting changes in the traditional Christmas season. The advent of online shopping especially has lessened people’s exposure to the trappings of Christmas, including decorations and loops of holiday music. 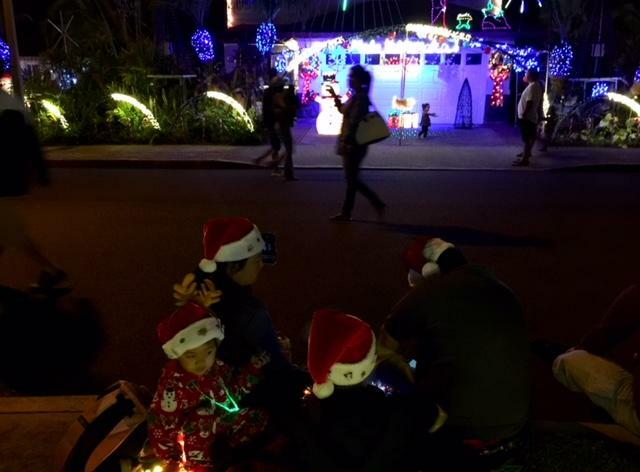 HPR’s Noe Tanigawa returned to Anapau Street, site of the famous Waikele Lights neighborhood light display, to see how people are keeping their Christmas spirit alive. The Suganos, (l-r) Bennett, Kelly, Bodhi, and Mike, found a choice spot fronting Keith Yoshida's electronically synchronized display--there are over forty thousand LEDs blazing here, all on solar power. Kelly Sugano, her husband, and two sons have been to Christmas parades in Wahiawā, Pearl City, Aiea, and briefly Kāne‘ohe. 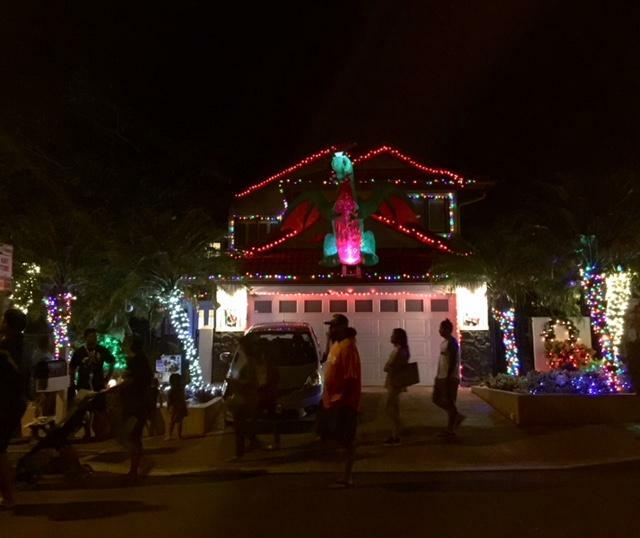 Right now they are sitting directly across the blinking and blazing home of Keith and Nalani Yoshida, the orchestrators of Anapau Street’s wirelessly synchronized holiday light show. The Suganos are here for their third time, it’s just a part of their Christmas season schedule. Sugano: We had a gingerbread house party last weekend with a bunch of friends to decorate gingerbread houses for the adults. All the families do it together and then we have one for the kids where they make Christmas trees out of ice cream cones. We hide candy canes, they play little games, and we still have pictures with Santa, we have the Angel Tree, a bunch of stuff we still want to do. 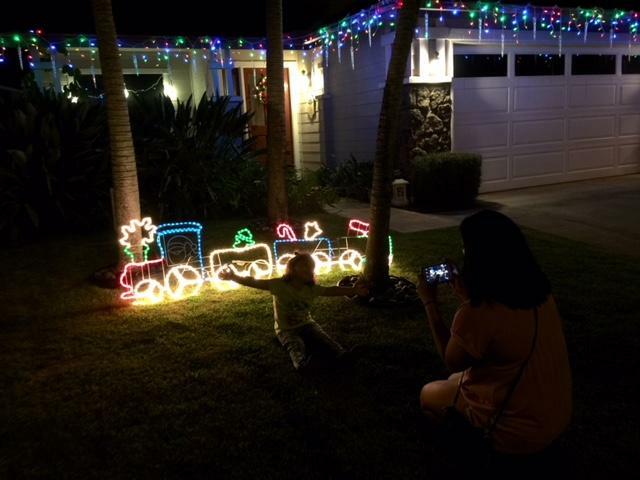 A December scene complete with ice skaters and a moving train on Anapau Street, Waikele. desired gift of a keiki or kūpuna in the community, and the organization will make sure it’s delivered by Christmas. For the Suganos, another Christmas tradition is manning the Salvation Army kettle for donations. Sugano: It’s really good because I want them to also know it’s not about what you’re getting. They can see what they’re doing for other people and how they can help. When my oldest was really young, they wouldn’t let us volunteer at a lot of places because he was too young. But anybody can ring the bell, so I would sign up and bring him with me and have him ring the bell. Now my littlest likes to come too and he wants to ring the bell! I managed to corner Kelly’s older son, Bodhi, age ten, to ask what he thinks the Christmas spirit is about. Bodhi: I think listening, and probably if you’re a kid, listening to your parents, to what they say. Doing festive things like putting up decorations and helping each other. 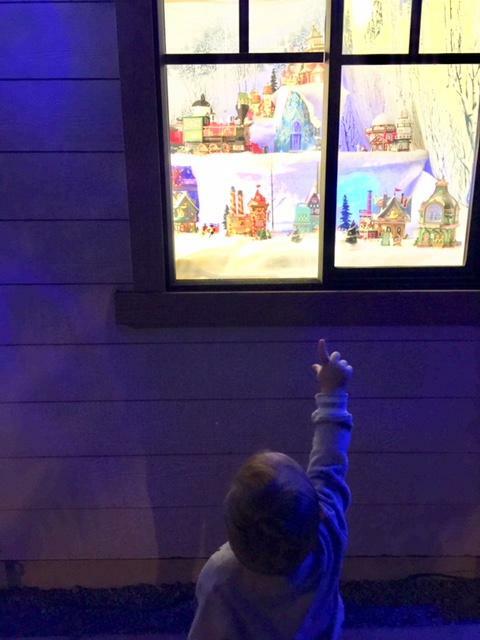 Not sure how listening to your parents stayed on the list of Christmas activities for this child, so I had to ask, What’s the favorite Christmas thing you’ve done so far? Bodhi: Probably it would be, putting up our Christmas tree and putting the ornaments on it. Bodhi: It feels good seeing all the ornaments we got to pick from the years before. “And we bought new ones,” a little voice popped in—it’s Bodhi’s brother, Bennett. When I ask, what’s your favorite part about Christmas, Bennett was quick. It was a fairly mellow night on Anapau Street, between forty and eighty people wandering the block at any given time, seizing the family photo opportunities. Lots of couples, too. At the entrance to the cul de sac, Anapau street residents Arleen and Ross Okuda were doing their watch shift with their son, Jon Ross. I asked Jon Ross if they ever contemplate giving it up. Okuda: If I’m a hundred percent honest, yeah sometimes it’s a little humbug. But at the same time, look at the kids, look at the families! That makes it worth it. Last year I seen a proposal! My street is part of someone’s life and is going to be for the rest of their lives. Okuda: So even though I’m parked out there on the main street, I had to walk in, shower, come back, (sigh) it is worth it. It is. Especially in Hawai‘i family is not just your blood relatives, family is our neighbors, you know. The Okudas are expecting more crowds with school out, and there are other fine displays across the island-in Kāne‘ohe, ‘Ewa, Kapolei, McCully and more. I've seen lovely displays on Nakuluai and Namoku Streets in Kaneohe. 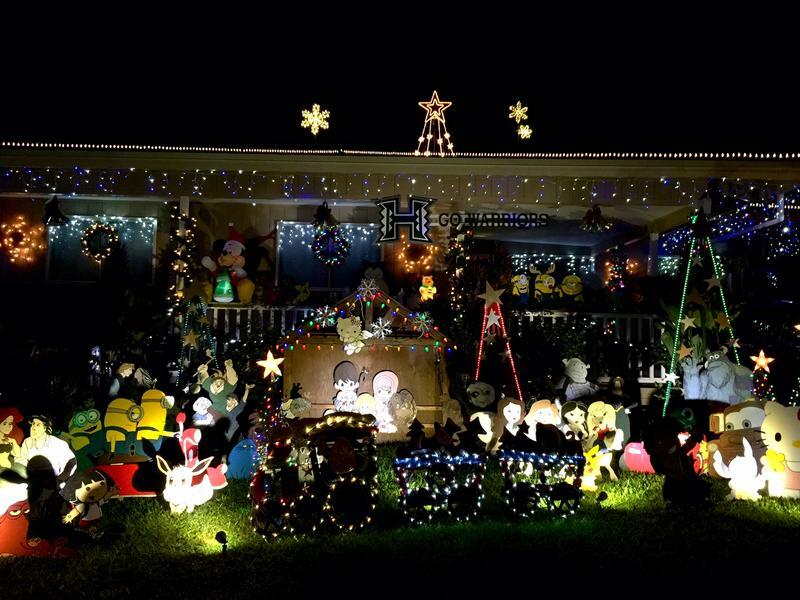 If you're a townie, last year Lally and Ralph at 723 Hauoli Street had a charming display and a lot of Christmas spirit. They’re all labors of love. However you define it, if you want some kind of spirit lift this season, looks like you have to stroke for it. It’s absolutely true that some of the best things about the holidays are free. You can prove it to yourself and your family by taking a spin around O‘ahu to take in the lights. Photographs of downtown Honolulu on December 7th, 1941, show Christmas lights festooned overhead all up and down Fort Street. Stores like Liberty House and the Ritz prided themselves on creating window displays like those celebrated holiday highlights in New York City. 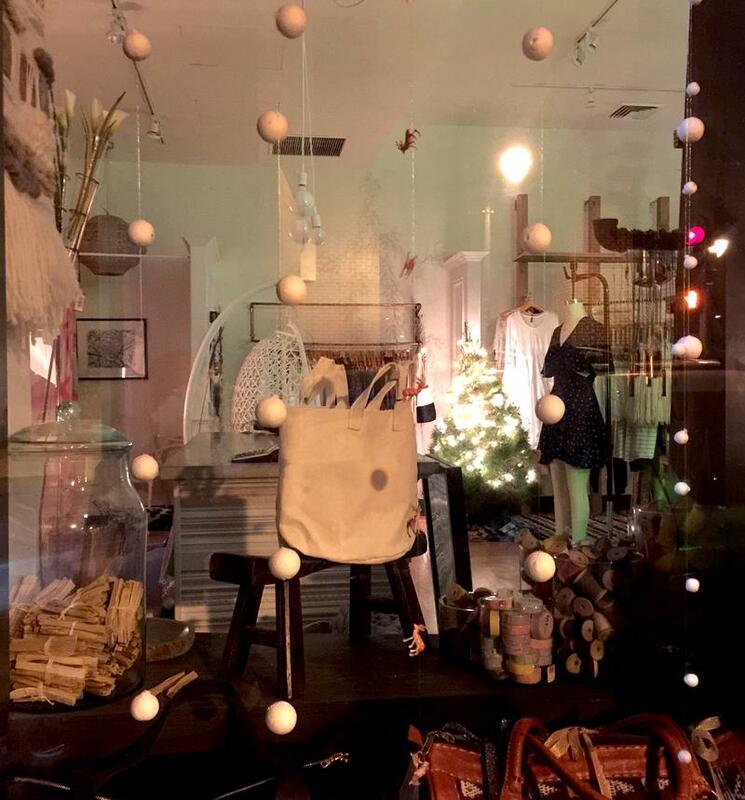 HPR’s Noe Tanigawa reports some Chinatown businesses are re-igniting the tradition through New Year’s Eve. 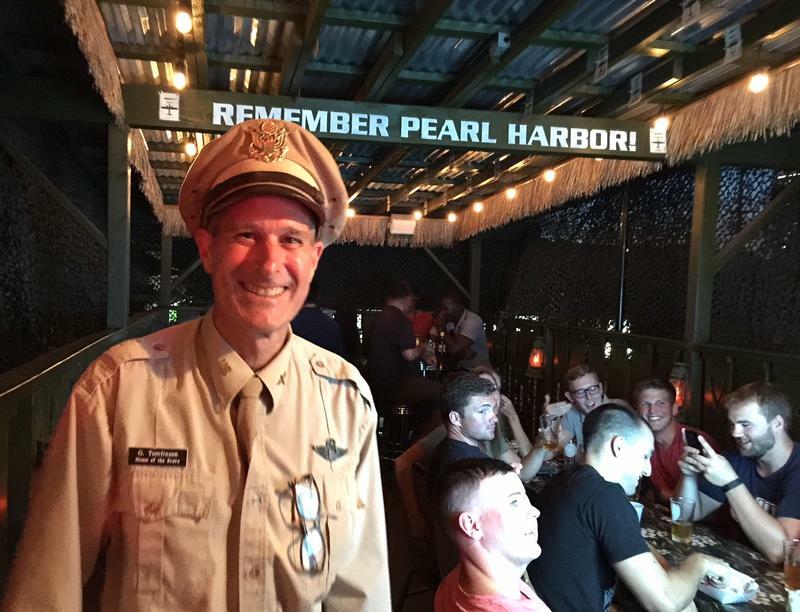 This day, December 7th, began with Japanese bombs and flames at Pearl Harbor in 1941, it was a pivotal event that prompted America’s entry into WWII. Today, seventy six years later, people commemorate the fateful day in various ways. As part of er series on local craft brewing, HPR’s Noe Tanigawa takes us to a small pub, the Brewseum, in Kaka‘ako where people sip home brews and marvel at unique WWII memorabilia. In a continuing discussion about climate change, there are opportunities and challenges in the year ahead. Today, HPR’s Noe Tanigawa speaks with Chip Fletcher, Associate Dean at UH Mānoa, and a professor of geology and geophysics. His research shows water creeping inland and seeping up into neighborhoods sooner than you might think.